Presidential candidates Hilary Clinton and Donald Trump polarise opinion and place the US Election top of the 2016 agenda. Now more than ever leaders need insight into what the final election results will mean for their companies, their employees and their clients. These top speakers for global conferences offer expert analysis and commentary into this game-changing vote. Please contact us for their latest availability, speaking fees and topics. Mitt Romney – As a former presidential nominee, Mitt Romney has unparalleled insight into the 2016 race. As a highly successful businessman, Mitt is best placed to discuss the ramifications of the final result on US business, industry and economy. View Mitt Romney’s speaking topics or request his availability. Nicholas Burns –As one of America’s leading foreign policy experts and practitioners, Nicholas offers expert insight into the different stances taken by a Clinton vs. Trump administration towards the Middle East, Europe, and South Asia – and what that will mean for companies and countries around the world. View Nicholas Burn’s speaking topics or request his availability. Susan Eisenhower – Granddaughter of President Dwight D. Eisenhower, Susan is often called upon to provide political assessments, which makes her an exceptionally well informed at this key juncture in the race. Additionally, her role as CEO and Chairman of the Eisenhower Group, which provides strategic counsel on political, business and public affairs projects, means Susan can offer vital strategic insight into the November result. View Susan Eisenhower’s speaking topics or request her availability. Niall Ferguson – Niall is highly sought-after as a speaker on international affairs, politics and economics – particularly global risk. As a Professor of History at Harvard University and world-renowned financial historian, Niall provides context for the US Election in economic terms and what to expect financially in the post-vote fallout. 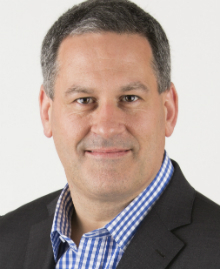 View Niall Ferguson’s speaking topics or request his availability. Harper Reed – In 2012, as Chief Technology Officer at Obama’s re-election campaign, Harper was the man who was responsible for engineering perhaps the most sophisticated political campaign of all time. Harper is an expert speaker on how people’s behaviour can be influenced by social media and campaigning from Trump’s and Clinton’s staff. View Harper Reed’s speaking topics or request his availability. James P. Rubin – Leading writer, commentator and lecturer on world affairs and US foreign policy, James was foreign affairs advisor to the Clinton and Obama administrations. As a veteran commentator, James brings valuable analysis to the policies proposed by current candidates. View James P. Rubin’s speaking topics or request his availability. Demetri Sevastopulo – As the Financial Times Washington Bureau Chief, Demetri leads the FT’s coverage of US policy and politics, including the 2016 presidential campaign. After five years in Hong Kong where he served as FT’s Asia News Editor. With a deep understanding of the US’s standing in Asia, Demetri brings a wealth of knowledge gleaned from years of expert journalism to his speeches. View James P. Rubin’s speaking topics or request his availability. Beth Myers – One of the most experienced and respected Republican strategists, Beth was Senior Advisor to Mitt Romney in 2012, has over three decades’ experience in American politics. Beth’s insights into the presidential campaigning of the 2016 race are not to be missed. View Beth Myer’s speaking topics or request her availability. 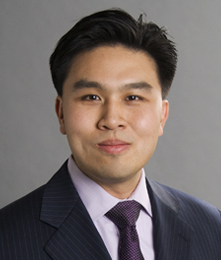 Lanhee Chen – One of Mitt Romney’s closest and most influential advisors and responsible for developing the blueprint for a Republican Administration. Marked as a rising star of US politics, Chen is a political commentator for CNN where he frequently provides insights on the 2016 presidential election. View Lanhee Chen’s speaking topics or request his availability. For more information on how to book these speakers for your conference or client event, use the Get in Touch details below to contact us.